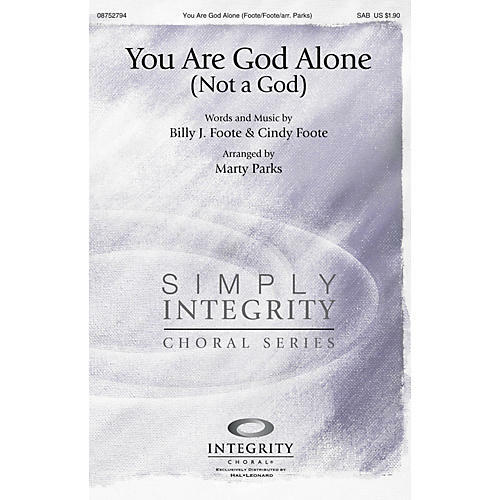 In the Simply Integrity Series this arrangement features careful arranging for smaller choirs by Marty Parks. Easy vocal ranges and solid writing for each part make this a winner. Available separately: SAB, CD Accompaniment Trax. Duration: ca. 3:50.